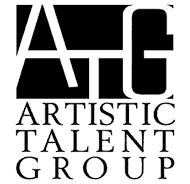 Artistic Talent Group is a boutique, state-licensed Talent Agency that exclusively represents visual artists for special events. Here at ATG, we are committed to giving you the highest quality artistic entertainment available! If you are looking for a creative and unique touch for your event, then look no further! Whether your event has 10 people or 10,000 people, Artistic Talent Group is the company that will help you make it a success. 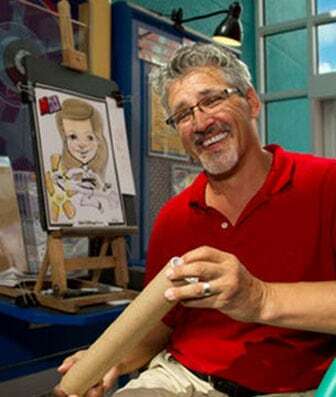 We produce the highest-quality artwork and our award-winning artists entertain as they draw. We are always on the cutting edge of what is new in the entertainment art world. Three of our exclusive products, Fashion Sketch, Hit & Run, and The Chocolate Genius were chosen for Michael Cerbelli’s The Hot List. We are proud members of the International Live Events Association (ILEA), National Association of Catering and Events (NACE), National Cartoonists Society (NCS), and the International Society of Caricature Artists (ISCA), which is the international organization for caricature artists. The owners of ATG have served on the boards of both ILEA and ISCA. At Artistic Talent Group, our Caricature Artists not only stay busy in our events division, but they are also regularly drawing at our retail locations. 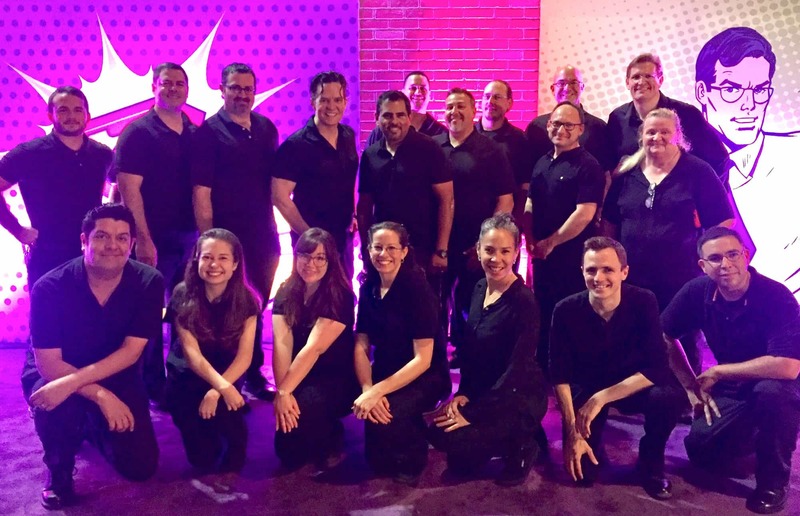 Operating more than a dozen retail locations at Walt Disney World Resorts, parks and destinations, our performers are constantly learning, perfecting, and advancing their skills. They create daily while making MAGICAL MEMORIES. 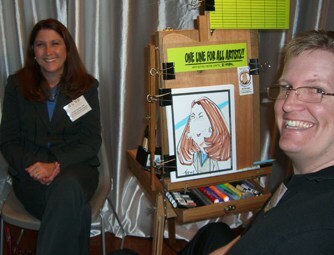 Caricature Connection is a division within Artistic Talent Group! 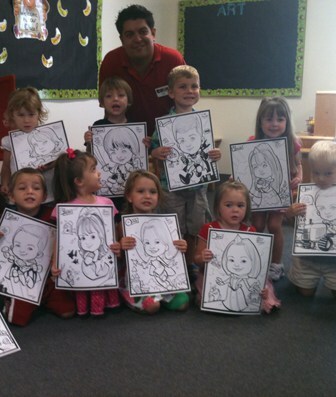 Our studio caricatures are the highest-quality pieces available. Send us your photo and we will create an original piece of artwork for you. Our drawings are one of a kind and are not copied or traced from the original photo you submit (as seen on many other caricature websites). For more than 20 years, Artistic Talent Group has established itself as the nation’s premier provider of artistic entertainment. We produce the highest quality artwork available and our award-winning artists entertain while they create. Focused on professionalism, customer service, and quality, these core principles have propelled our business and continue to keep us in high demand for special events around the world. We are a proud partner of The Walt Disney World Resorts and Parks. Artistic Talent Group is a boutique, state-licensed Talent Agency that exclusively represents visual artists for special events. © 2019 Artistic Talent Group.